The JPL TMF atmospheric lidar group, part of JPL Table Mountain Research Group (329H), has been designing, building and operating for over two decades several lidar instruments dedicated to the long term monitoring of atmospheric composition and satellite validation. 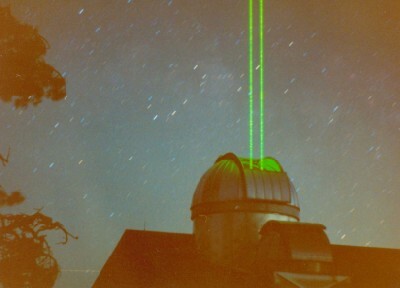 A Differential Absorption Lidar (DIAL) has been routinely measuring stratospheric ozone and middle atmospheric temperature from the JPL-Table Moutain Facility since 1988. Another DIAL system has been operating at the Mauna Loa Observatory, Hawaii since 1993. A tropospheric ozone DIAL and a water vapor Raman lidar also located at Table Mountain have been operating since 1999 and 2005 respectively. The long-term high quality measurements from these four lidars contribute to the database of the international Network for the Detection of Atmospheric Composition Change (NDACC) to understand our changing planet, in particular processes governing stratospheric ozone depletion and climate change. The tropospheric ozone lidar measurements also contribute to the North-American Tropospheric Ozone Lidar Network (TOLNet).